Conrad seeks to settle the age-old knight vs Viking vs Samurai question once and for all in Ubisoft's latest brawler, For Honor. 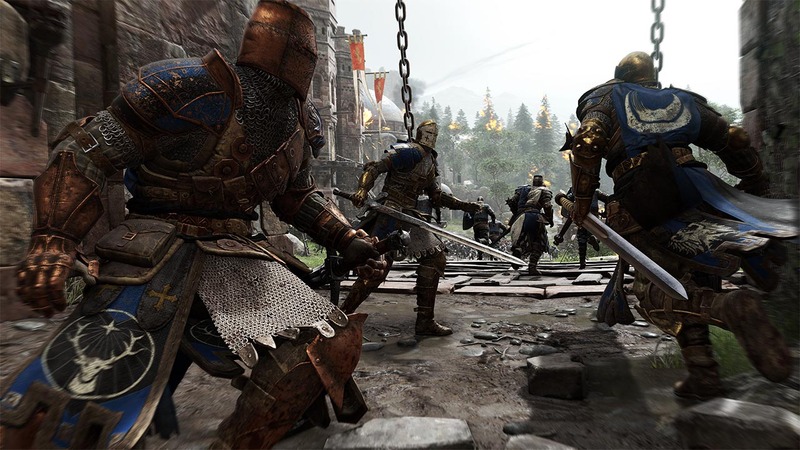 When For Honor landed on the scene at E3 in 2015, everyone sat up and took notice. New IP from major studios was desperately needed, and a competitive action brawler looked like exactly what the doctor ordered. Deep down, every gamer wondered what it would be like to pit Vikings against knights against Samurai in the world's biggest ever showdown, and finally now they can do exactly that. For Honor's story mode starts strong. Introduced to a chaotic world of war, you begin as a random mercenary, recruited into the brutal and violent ranks of the Blackstone Legion. From there, you progress through the Viking and Samurai factions – with each chapter allowing a chance to play as different characters, with different play styles. Throughout the story mode is the lurking presence of Apollyon, a brutal and driven Knight-Queen who seems obsessed with egging the various factions on into further conflict. While her menacing presence is initially intriguing (particularly as Apollyon in Ancient Greek means "the divine destroyer"), her sadistic desire for on-going war is never properly explained. This is most obvious at the game's poorly written and bemusing climax, where an attempt by Ubisoft Montreal at Nietzschean philosophizing feels especially undercooked. This is a shame, because beyond the juvenile conclusion that "humans are bestial, war is bad, peace is good" there are some real glimmers of intelligent narrative hidden within For Honor's story. Often, these moments of poise come when nothing is said. In the middle of the game, the Warden – an entry level character in the Blackstone Legion – must face the King of a Viking civilisation. Exhausted, the King kneels before his burning keep, refusing to fight. That moment alone says more about the themes Ubisoft Montreal was trying to mine than anything else in the game. But, like a sledge hammer faced with the proverbial nut, Ubisoft had to go and ruin this intelligent moment with a boss battle – something players are now conditioned to expect. While For Honor's story might be disappointing, its gameplay and visuals are not: it is a fantastic example of the visual depth of this generation's consoles. The world and environment in which the game plays is full of colour and light, and is incredibly well-designed for a linear game. Fire bristles, swords and shields sparkle, and the animations of characters – even the filler enemies that you rampage through for points – are all excellent. This engaging and absorbing visual style is supported by game play which is intelligent; easy to learn but hard to master, and fun to play. From the hype at E3 we already knew that rampaging around as a knight or a Viking or a Samurai – Dynasty Warriors style – was going to be a good time. But Ubisoft Montreal has put real thought into how the sword to shield to spear gameplay interacts, and how levels flow. Executions, for example, serve more purpose than a cool visual. Done right they can give health buffs, which can turn the tide in a single player or multiplayer battle. That being said, the story mode – clocking in at around five to six hours on normal difficulty – does become rote. That developers think it's fine to use Californians for Japanese audio continues to bemuse me. At least the voice actors in English roles are fantastic. 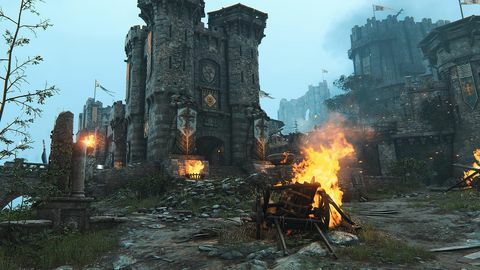 Once completing an unnecessary multiplayer tutorial, For Honor's competitive side is exposed, and it is here that the title starts to come into its own. Characters with playstyles that were perfected and tested during the story mode can now be unlocked, and the items and steel you have collected can be used to fully customize your chosen warriors – with weapon and gear customisation options rivalling some of the bigger online RPGs. For online gamers raised on a healthy diet of TF2 hats, Counter-Strike skins and collectable weapons, For Honor has ample toys to play with and collect. The multiplayer also goes beyond the traditional modes of holding objectives, one-on-one duels, and team death matches. When entering the multiplayer world you can join factions, which over time capture territory that provides bonuses and rewards for faction members every now and then. Riffing on the gym system in Pokemon Go, players are rewarded for thinking intelligently about what game modes they play, and how much they play them. When this meta multiplayer experience is combined with the intuitive but difficult-to-master blocking and attacking combat system within each mode, it is obvious that For Honor's multiplayer experience provides a solid and reasonably well-balanced competitive experience. Unfortunately, For Honor does not escape the Ubisoft curse. The mechanical problems that have dogged the developer in other multiplayer focused titles like the excellent Rainbow Six Siege are present here as well. Balancing, while more finely tuned than it was in the beta, is still not perfect. Matches can be plagued by long load times, annoying connection problems, odd hitboxes, and grinding gameplay. Hopefully, For Honor will get the usual Ubisoft publish-and-patch treatment, and these issues will be resolved or tweaked within the coming months. For Honor is a decent title. It has strong gameplay fundamentals and a good mechanic. However, it's the bits around the edges that are rough and unpolished. Its story mode has promise, but is let down by infantile execution, and feels more like an extended tutorial for online play than a worthwhile standalone experience. Even so, For Honor comes recommended. It looks gorgeous, plays well, and for – fans of intelligent swordplay – its multiplayer will bring real joy. With further improvements and tweaks it will come into its own, and patient gamers will be rewarded with a worthwhile competitive experience. 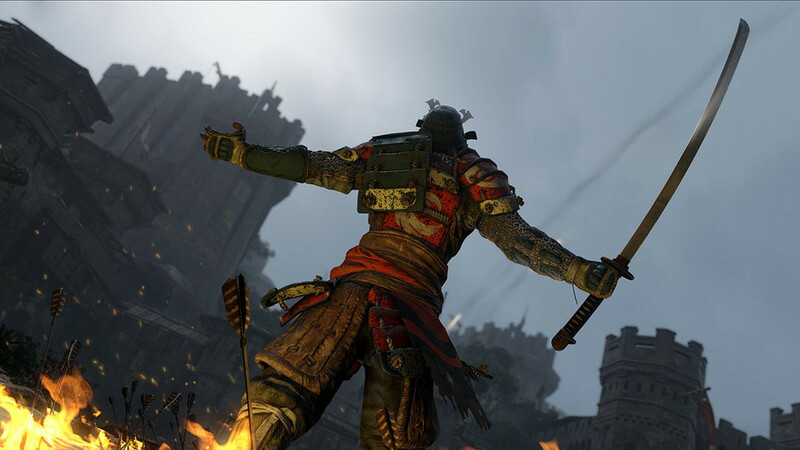 The campaign's story falls to earth with a thud, and technical problems are currently marring its online component, but For Honor's masterful presentation and combat rescue it from mediocrity. Given a few patches, it'll be a force to be reckoned with. Ups Fluid, tactical combat. Clever level design. Beautiful presentation. Downs Connection problems and other technical quirks hamper the multiplayer. Campaign story has lofty goals, but doesn't manage to reach them. For Honor's campaign designed as a "full experience"
▰ 1 For Honor's campaign designed as a "full experience"